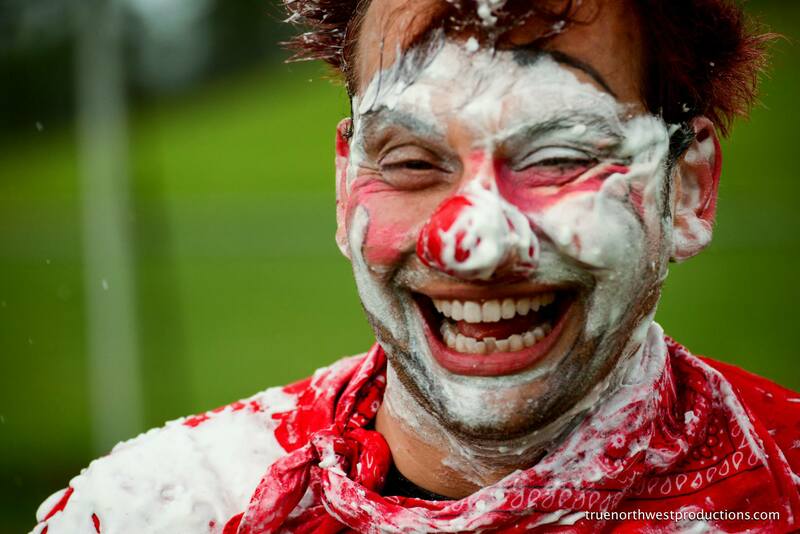 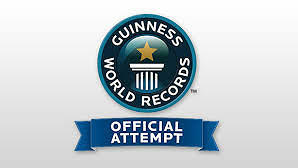 Jusby joined with Seattle film maker Domenic Barbero (and a hundred participants) to make an official Guinness World Record Attempt for the Largest (shaving) Cream Pie Fight IN THE WORLD! 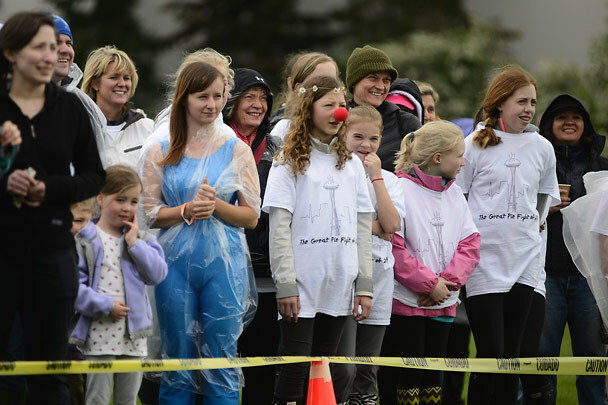 The crowd gathers behind caution tape to listen to Jusby the Clown, or Justin Wright, tell a story about the ancient history of pie-fighting before the Great Pie Fight. 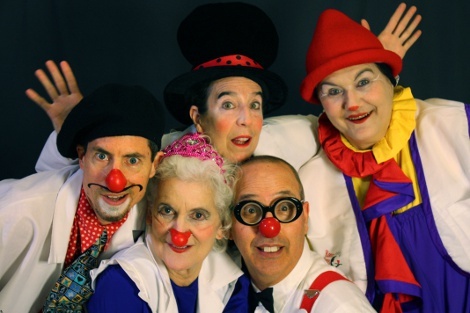 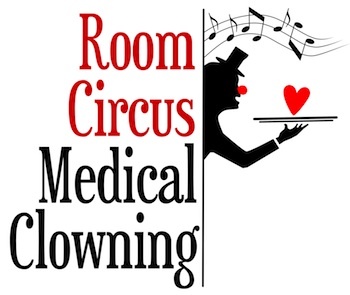 The Hospital Clowns of Room Circus also participated as the entire event benefited Seattle Children’s Hospital.